Iconic is an overused term but totally appropriate when talking about Elvis’s first appearances on the Ed Sullivan show in 1956 and the 3 performances which include 9 different songs have just been released on a special DVD set. While it’s well understood that Elvis was and continues to be a phenomenon, these appearances really help you understand why- this guy’s got something special. The songs are classic and the voice is magic sure, but the looseness on stage and sense of humor and charisma brewing under everything keeps your eyes glued on the King of Rock N’ Roll for every second he’s on the screen. The first show features guest host Charles Laughton (Mutiny on the Bounty) and the strange juxtaposition attracted a record audience as Elvis belted out: “Don’t Be Cruel,” “Love Me Tender,” and “Hound Dog.” The second show features Elvis’s famed gyrating hips along with classics such as “Heartbreak Hotel” and the final appearance is well known for only showing Elvis from the waist up. 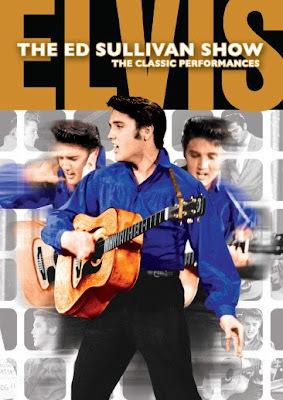 The DVD includes some special features such as interviews with close friends, home films of Elvis, and the first ever footage of Elvis performing filmed back in 1955 before he was known. It’s a revealing look back in history that is as funny and foreign for modern audiences as it is interesting but if you love the King or you just want to see how he earned the moniker make sure to check out these performances and you’ll be in for a treat.